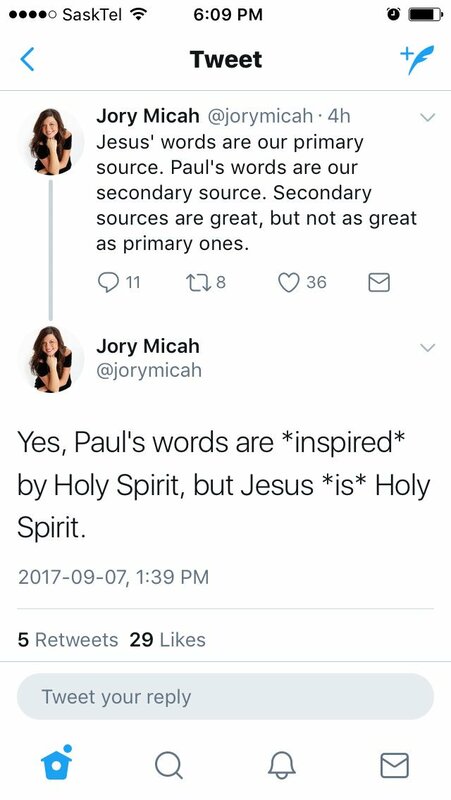 If you need an example of the phenomenon in historical Jesus studies known as ‘gazing into the well and seeing one’s own reflection,’ this is it. Politicians should never pretend to be theologians. Because they aren’t. And Bachmann is a prime example. Here’s your Dilly. You certainly deserve it. The story of Adam and Eve isn’t a marriage relationship manual. So please, shut up. 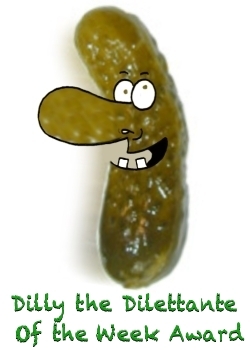 Oh, and here’s your Dilly. The Winner of this Week’s Dilly is…. 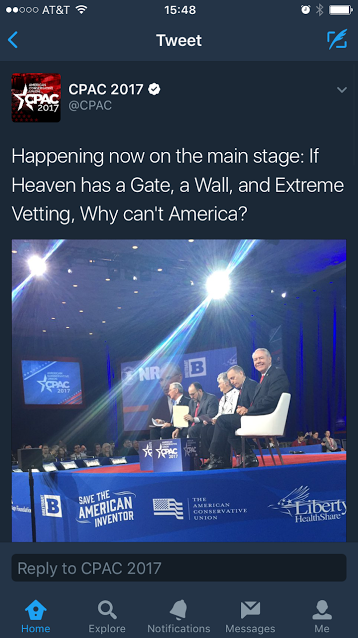 #CPAC2017 !!!! 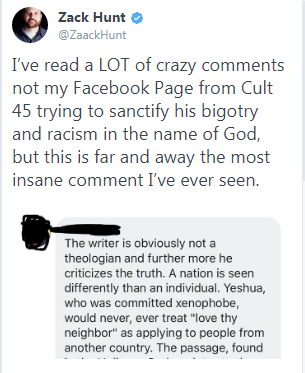 For displaying the sort of ignorance about the Bible and theology that befuddles anyone with a brain and yet nevertheless pretending to interpret it for the present day. Who is more deserving of a Dilly? That’s right- no one at all. Ignorance afoot! So, #CPAC2017 – here’s your Dilly, because you don’t know what you’re talking about. 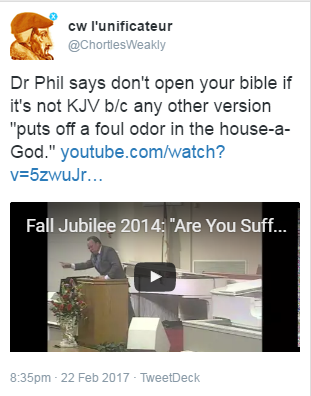 (PS- check Revelation, the gates are ALWAYS OPEN). Amateurs: We Are Riddled With them in Biblical Studies- So It’s Nice to See Them Branching Out Into Other Fields.. So folk can see the outcome of their efforts. 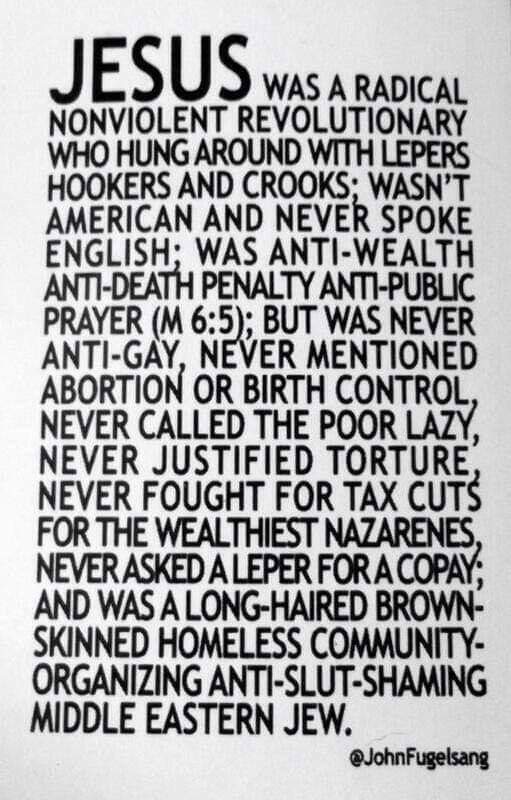 If biblical dilettantism is ok, why then, well, so is this. A man who cut off an acquaintance’s testicle in a motel room, having replied to an advert asking for assistance with a “medical issues,” has pleaded guilty to a number of charges in a local court at Port Macquarie, New South Wales. The alleged victim had posted a message online seeking help as he could not afford to pay for treatment through proper channels. According to the Sydney Daily Telegraph, the 52-year-old man had been kicked in the groin by a horse some years earlier, after which he had experienced persistent problems with his left testicle. He met with Allan George Matthews, 57, at a motel in Port Macquarie on May 16, at which time Mr Matthews removed the offending organ. A week later the man visited hospital seeking treatment after the wound became infected. His visit triggered a police investigation, and on June 23 Mr Matthews’ home was raided by officers who medical equipment, several bottles suspected to contain amyl nitrate, and seven firearms. 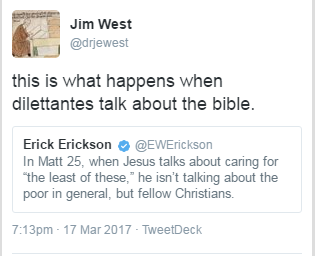 Doing to ‘surgery’ what dilettantes have been doing to the Bible for centuries. In fact, you’re a dilettante if you call yourself one and you aren’t. He’s not a member of SBL or ETS. He doesn’t belong to SOTS or BNTS or any academic society. 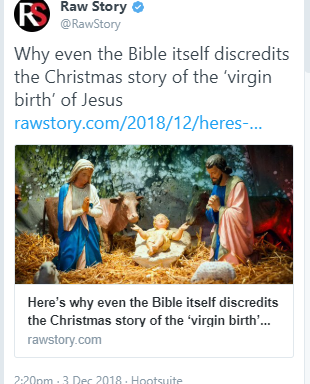 He hasn’t published anything that looks even remotely sensible or scholarly. He has no publications in Journals or essay collections. And finally, his answers to questions on his website are the bleetings of a buffoon. Here’s your Dilly, Martin. You really, really deserve it.